When John Paskievich returned to his family home in the North End, he wasn’t quite sure the direction his career would go. Having recently completed his studies in photography and film at Toronto’s Ryerson University, Paskievich was entering a once-familiar place with a fresh pair of eyes. What he found was a city much different from the one he had left behind. The year was 1972, and Paskievich noticed that the North End was undergoing a dramatic shift, demographic and cultural. This neighbourhood, which had long been occupied by Eastern European and Jewish immigrants was changing, as Indigenous peoples were moving in from reserves. 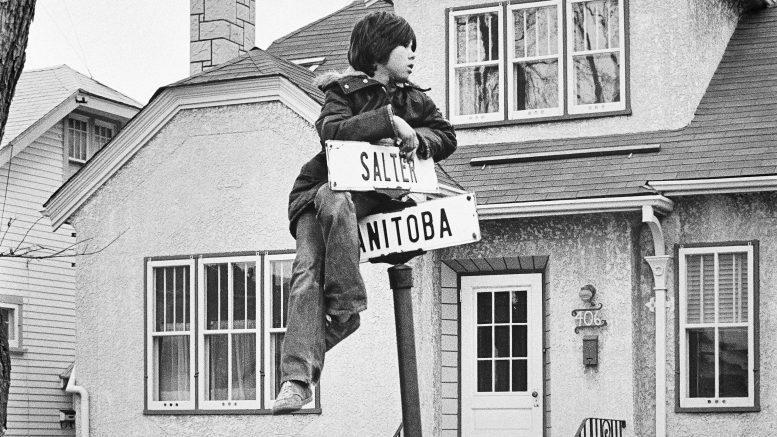 This transition is what first inspired Paskievich to take to the streets and photograph the people and spirit of Winnipeg’s North End. From that moment on, he never stopped. More than four decades later, on Oct. 4, Paskievich stood in front of a large crowd packed into the back of McNally Robison Booksellers for his book launch. 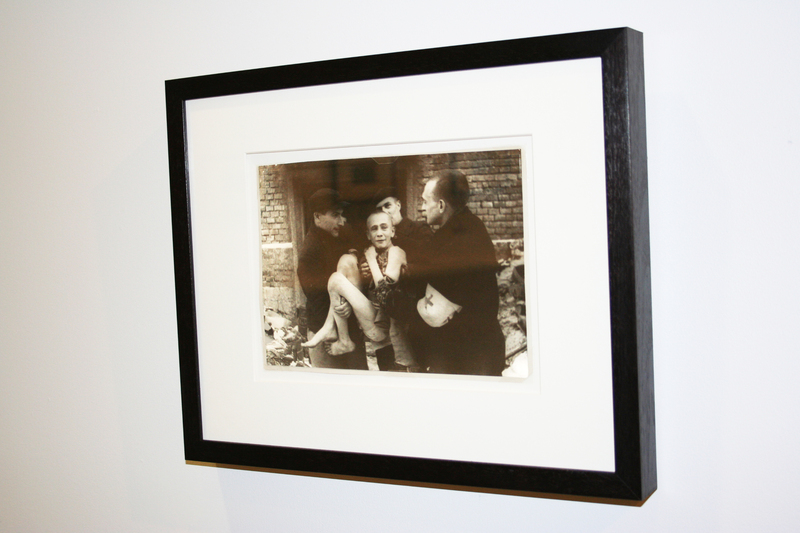 The North End Revisited features 45 years of Paskievich’s photographs, including some that were published in his first book, The North End, in 2007, alongside 80 new images. For many, his work is nostalgic, reminding the reader of a familiar, though faded, time and place. The CP Railway tracks, the Arlington Street Bridge, and Ted Baryluk’s Grocery, are all common backdrops to his work, which causes former North End residents to beam with pride, as several expressed during the Q&A following the book launch. Perhaps what draws his enthusiasts in deeper are the elements in his photos they do not recognize. The child clinging to the street sign, the Ukrainian grandmothers gossiping outside the Holy Ghost church, the young boy dressed as a bandit inside the local grocery store – these are the moments that leave the viewer lingering, trying to make sense of this foreign familiarity. Paskievich said that the light-hearted, sometimes dreary, sometimes humorous feel to his photographs are qualities he strives for, and a part of showing the other side of the North End. “Violence is only one side,” he said. “It’s a small proportion, but when the violence happens, it’s often nasty and the media […] talks about it. The North End has a complex history of violence, poverty, and neglect. But it is also a place of vibrancy, of community, and of the beautiful quotidian. As Paskievich’s work illustrates, it is time to refocus our attention on that image. The North End Revisited is a part of the University of Manitoba Press’ (UMP) fiftieth anniversary celebration. Visit the Dafoe Library in the University of Manitoba Archives section to view their exhibit which examines UMP’s history within the larger social and book-industry trends.